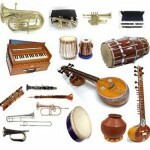 Do you think you have crossed the age to learn to play piano or other musical instrument? Think again! If your age old dreams of strumming your most-loved tunes on the guitar, creating sweet melodies on the piano, or writing your passions into songs, this can be the perfect time to learn how. Not only do you have more time now and often more opportunities for musical studies, but studies show that playing and learning musical instrument in your golden years can yield ample benefits. The therapeutic benefits of learning music includes a reinforcement of the immune system, a boost in intellect, and an amplification in positive thinking – not to cite that learning to play a musical instrument or singing your favorite song can be a lot of fun. 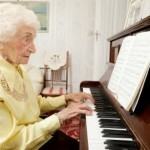 Music lessons can play a significant role in helping elderly keep a sharp brain. 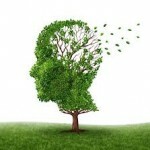 Research has related playing a musical instrument to the empowerment of areas of the brain concerned with memory, which may help them in this age preventing them from Alzheimer’s disease and other types of dementia. 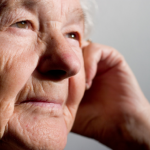 A study conducted in Illinois retirement home, shown those seniors, ranging in their late 60s to early 80s, witnessed 55 to 70% enhancement in their memory just after 15 weeks of taking classes for a new instrument. It is said that the methods involved in playing piano or other musical instrument provides some cognitive exercise the body needs to protect itself from memory loss. Playing music can help elderly beat the blues, too. It reduces stress and anxiety more than other calming activities such as gardening, making crafts such as picnic basket or reading the newspaper. 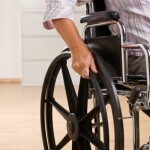 We live in uncertain times and many people are carrying heavy stress burdens. Playing a musical instrument can help you refocus on the sublime and feel transported to a more tranquil place. 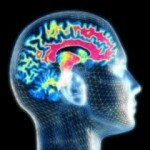 Similar to brain, physical health and learning an instrument also have a great connectivity. 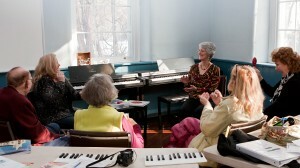 Music is a tool that can energize seniors to initiate the appreciation, hugs, the smiles…and participation. There is indeed a deep mystery within the secret chambers of human body that are easily accessed through the window of music. 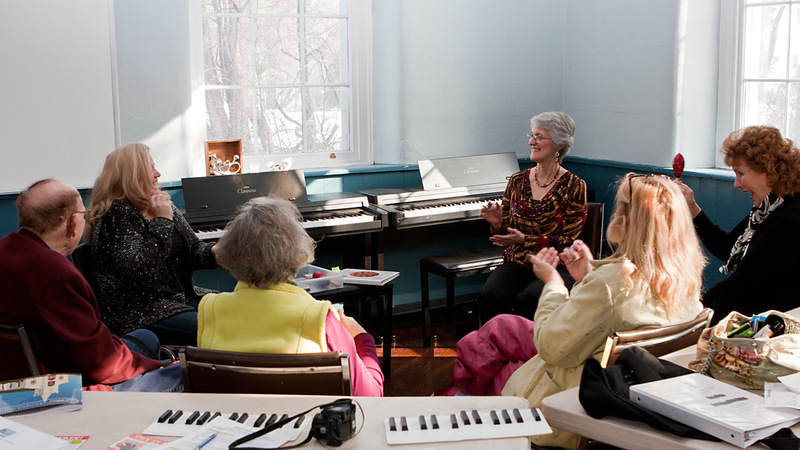 People who are teaching music at various institutes have witnessed how playing an instrument can play a vital role in helping seniors relax and gain perspective. Learning music can help with memory retention, and adds to your physical and emotional well-being, but learning an instrument in your senior years has other pluses as well. These include allowing you to express yourself spiritually and creatively, and even introducing you to new friendships as you pursue your love of music. Finally, but perhaps most importantly, you can enrich the lives of your grandchildren and others around you through the gift of music.